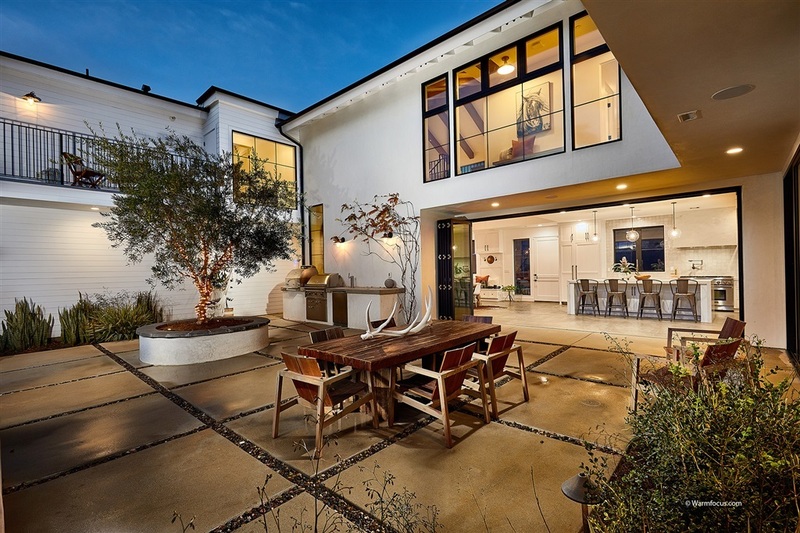 Seller will entertain offers between $3,995,000-$4,300,000. 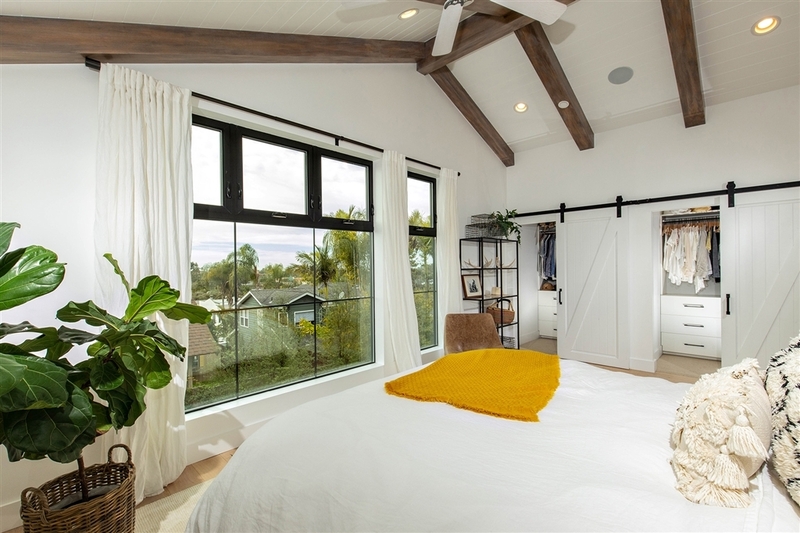 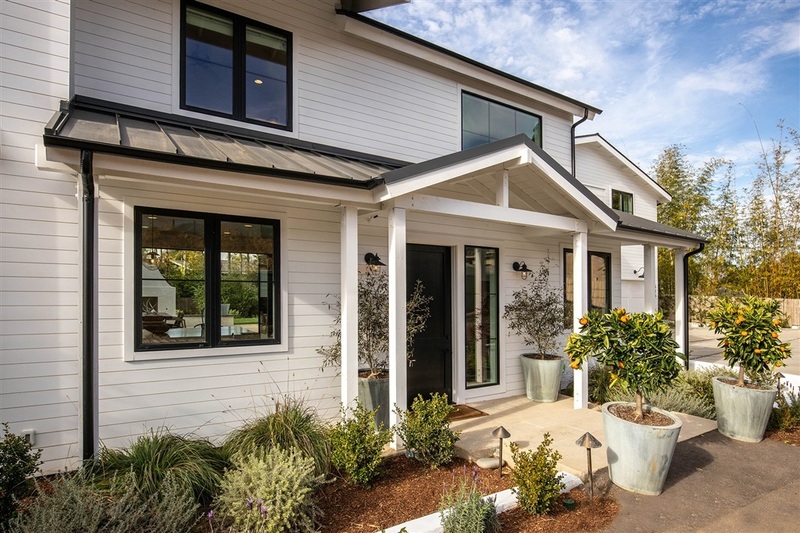 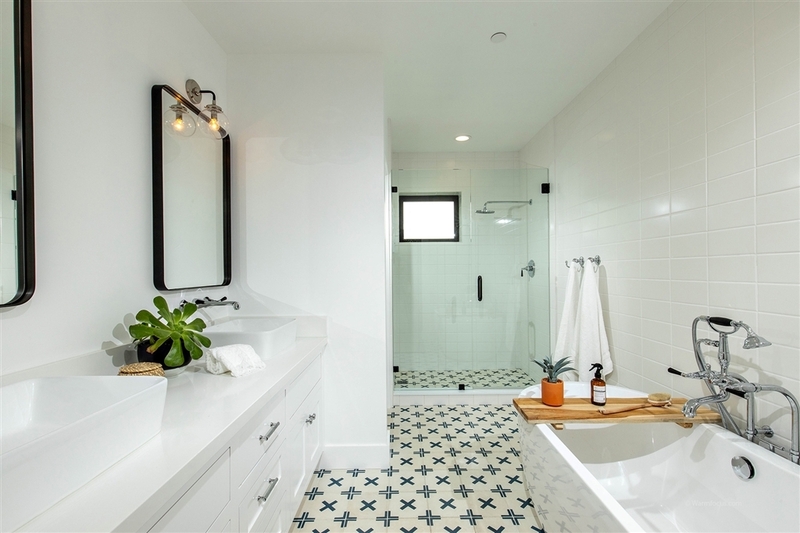 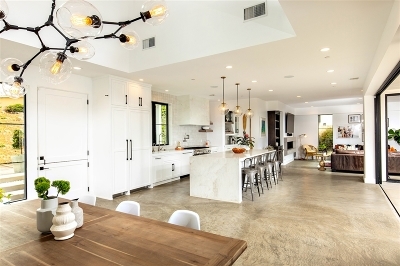 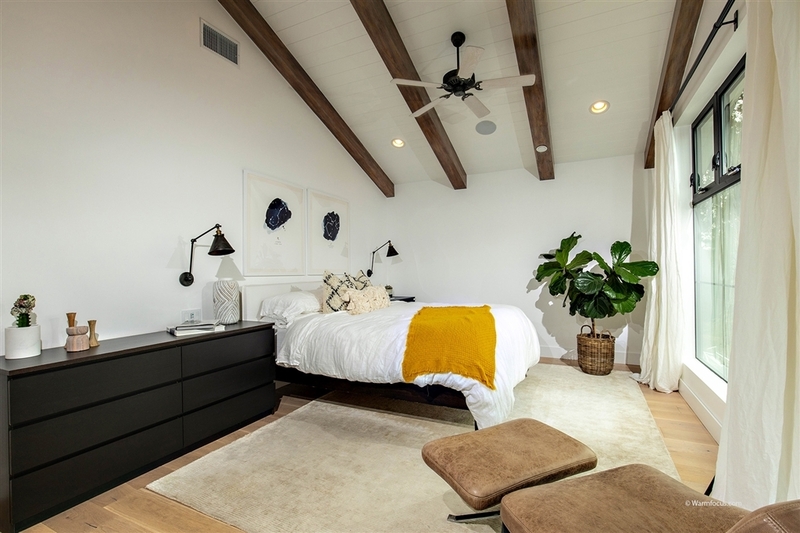 Coastal paradise of Leucadia; perfect blend of modern meets timeless farmhouse architecture. 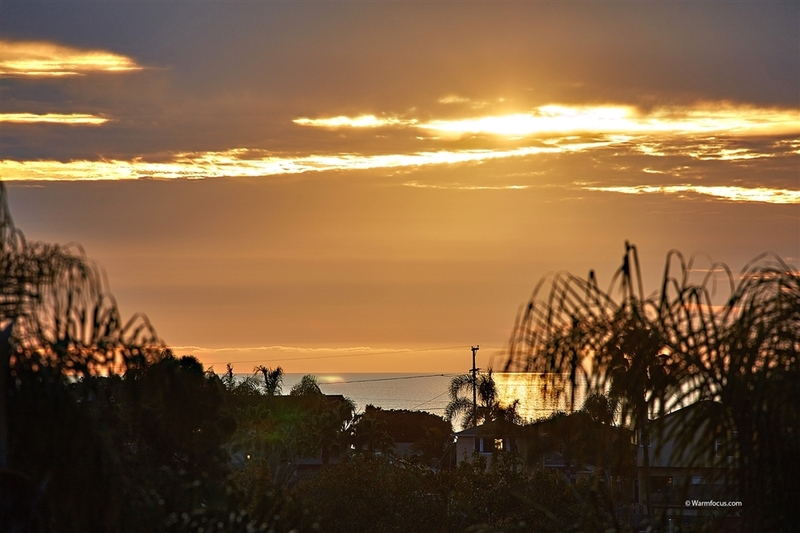 Custom-built ocean view estate w/guest-hm, 8-car parking & 5 blks to beach. Exquisite custom design, high-end finishes, natural bright light, gorgeous concrete & hardwood floors, LaCantina glass folding doors open to entertainer's pool-ready backyard & indoor/outdoor shower. 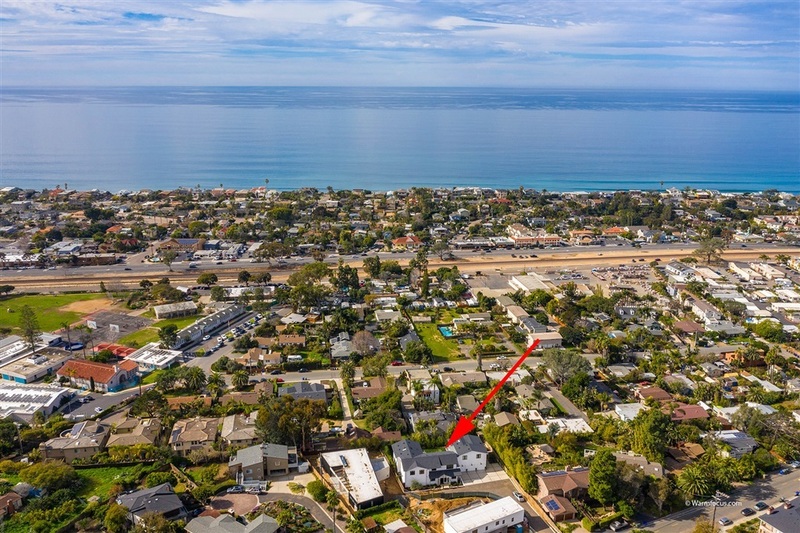 Location is everything, mins to world-class surfing w/unparalleled lifestyle., Setback on expansive private flag-lot, sprawling 4,800 SF estate - inclusive of the main home at 3,600 SF and extended guest-home wing at 1,200 SF, built on a 10,000 SF lot and room for parking 8 cars! 6 bedrooms, 6 full bathrooms, 2 laundry rooms, 3 A/C units, wired for Solar plus Tesla charger in garage. 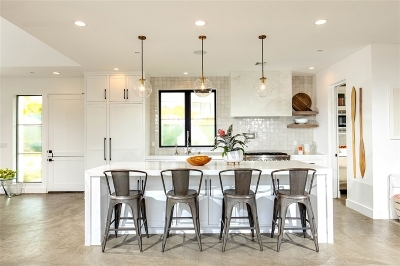 Exquisite interior design with gourmet kitchen comes fully equipped with high-end finishes, hand-made tile, 10' island with marble waterfall counters, butler's pantry and spacious future wine cellar. 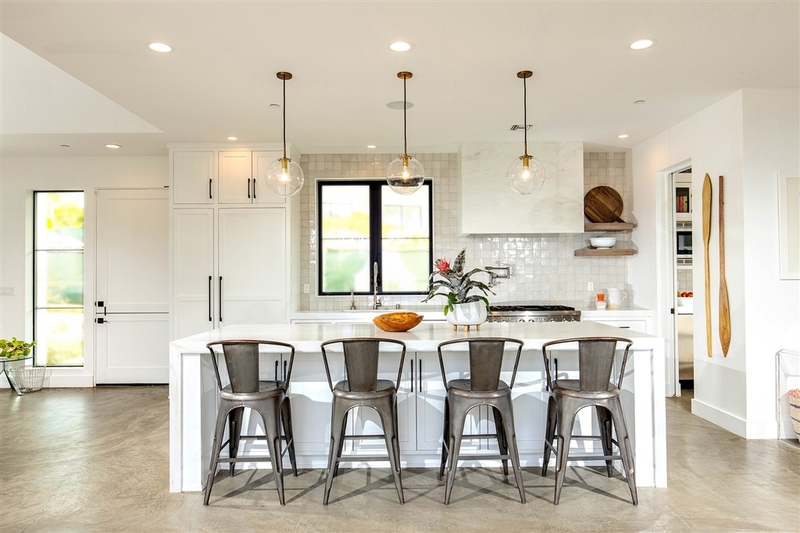 Expansive floor plan living areas have beautiful smooth concrete floors, 6' linear fireplace and 18' glass bi-folding doors open to a private dining patio area and backyard. 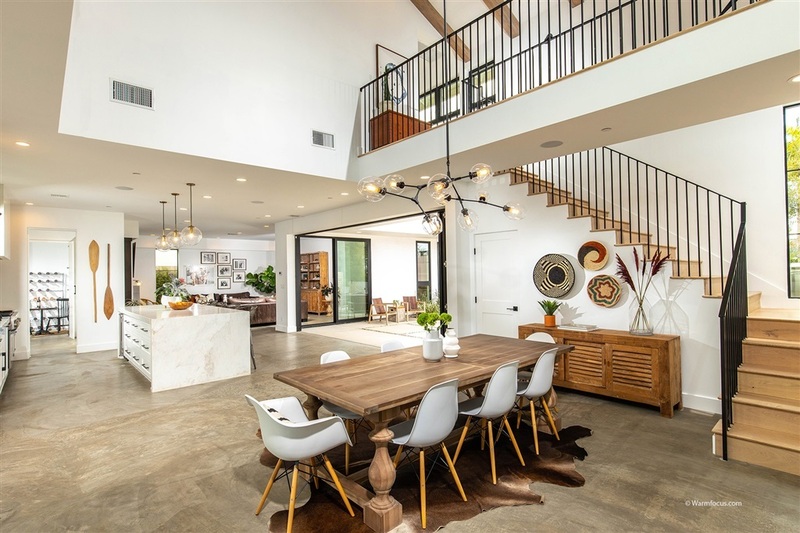 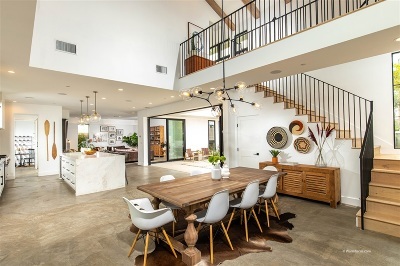 Expansive second level with White Oak floors, luxurious master retreat, vaulted wood-beamed ceilings, barn-door closets and ocean views thru floor to ceiling windows. Spa-inspired master bath with custom marble seating spanning the 10' steam shower. 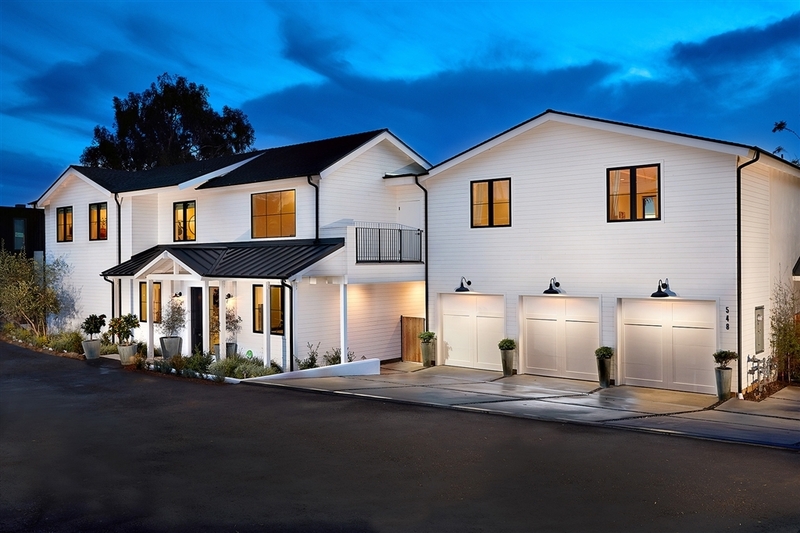 The main home features 4 bedrooms and 4 full bathrooms as well as a large play room or office, this home is spacious with plenty of room for family and friends to enjoy. 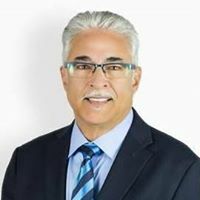 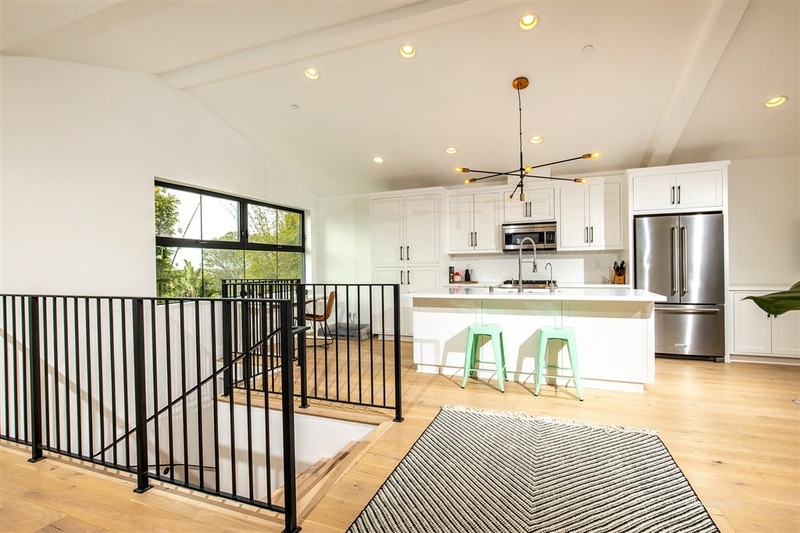 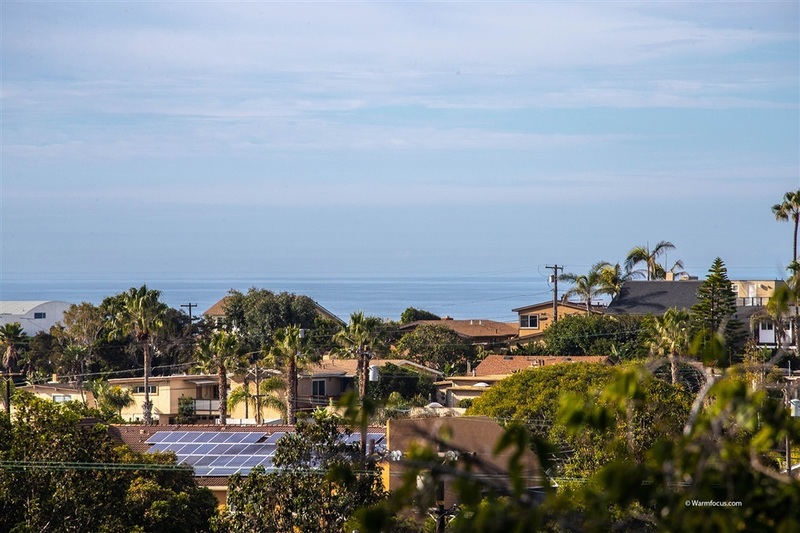 The 1200 square foot guest home features, 2-bedroom, 2 full baths and is beautifully designed with the same high-end finishes as the main house, with ocean views, expansive fully equipped kitchen, it's own laundry room, private yard, patio and side entrance with direct garage access. 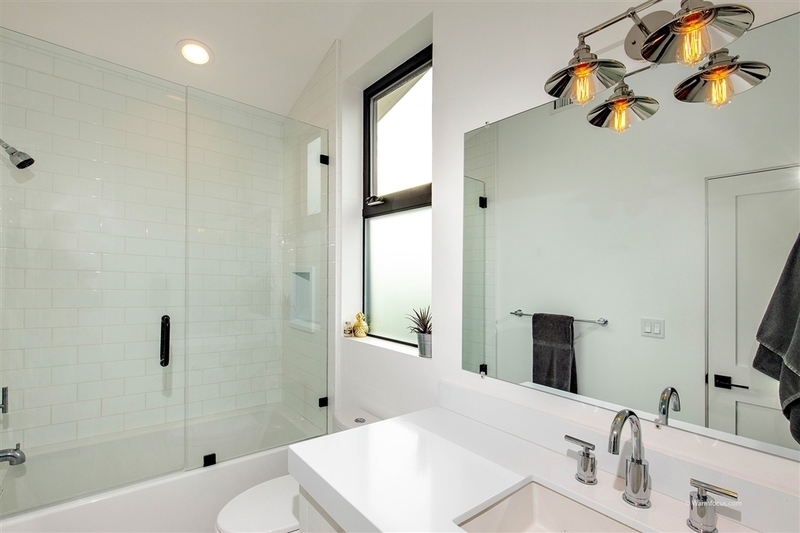 Guest home or Mothers-In-Law quarters was designed to be apart of the main house or completely separate - great rental income opportunity, estimated $5300 per month! 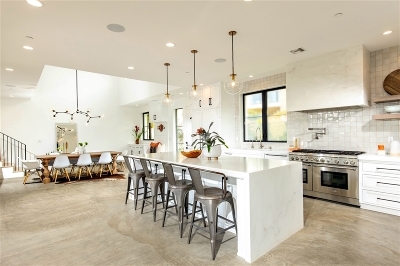 This estate is perfect for entertaining, the private backyard features dining patio, outdoor fireplace, built in BBQ, pizza oven, kegerator, raised garden beds and side-yard dog run. 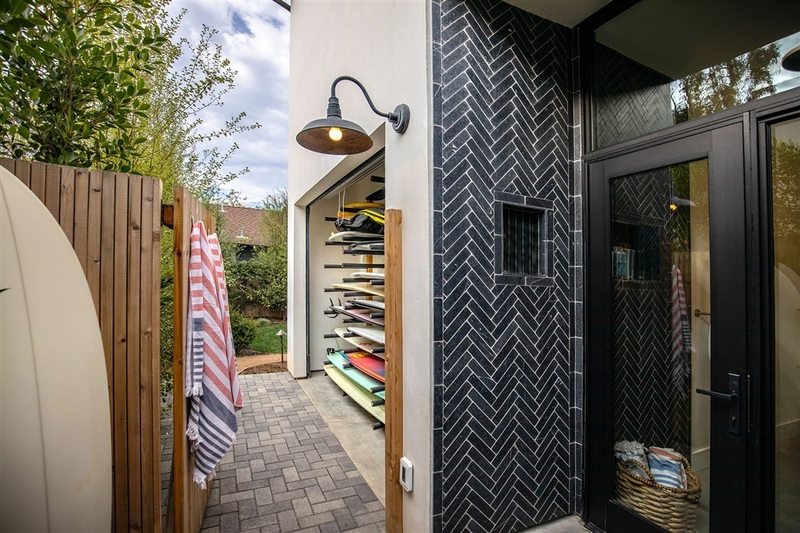 Pool-sized backyard w/design drawings available!Private side entrance to a custom storage room for ~20 surfboards with a private indoor/outdoor shower, this home has every amenity imaginable. 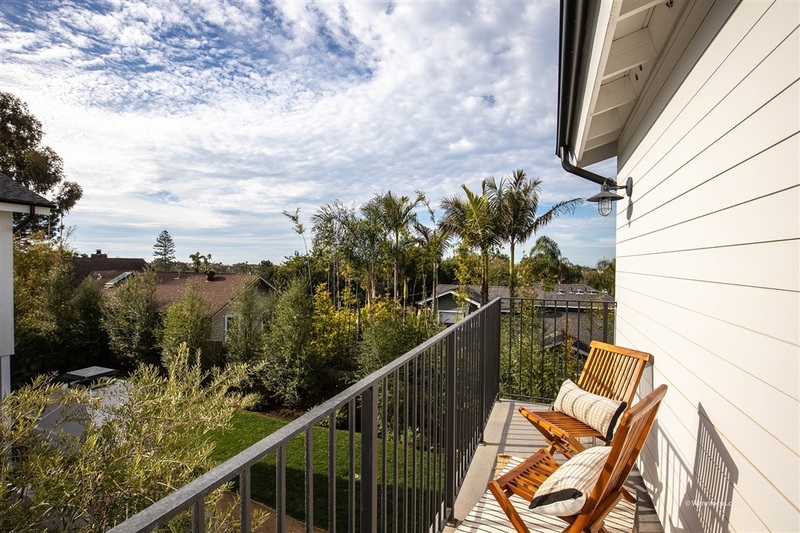 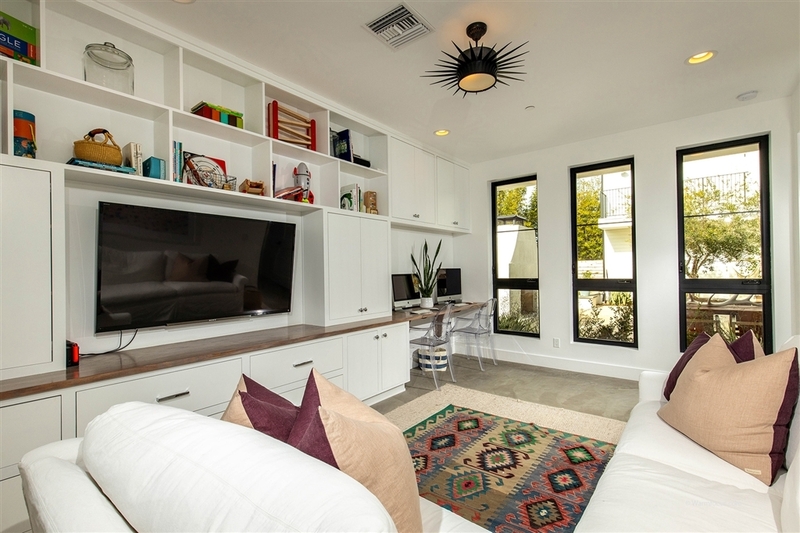 Conveniently located to everything Encinitas has to offer, minutes to world-class surfing at Beacon's Beach, approved under-railway pedestrian/bike crossing, great shopping and dining in both Leucadia and downtown Encinitas and close proximity to Encinitas Ranch Golf Course. 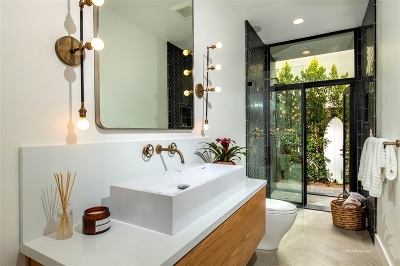 Offering an unparalleled lifestyle and custom finishes, this property is truly a coastal paradise.